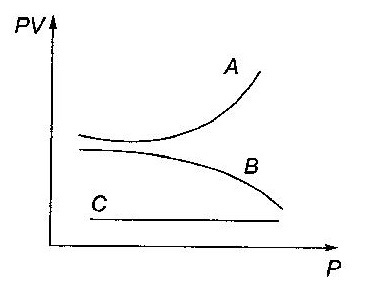 The graph shows the variation of PV with P of given masses of three gases A, B and C. The temperature is kept constant. Which of these is ideal graph? Gas C is ideal, because PV is constant for the gas. It means C obeys Boyle's law at all pressures.